There are a few Cafe Muranos across town - but this is the main event. 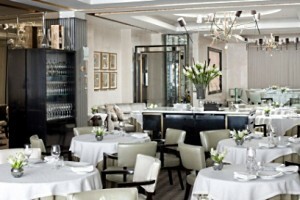 Angela Hartnett's flagship restaurant, which she bought from Gordon Ramsay after helming it for him for years. Expect high-end Italian dining. Mixing Mayfair glamour with an Anglo-Italian welcome, it's no surprise that Angela Hartnett's Murano continues to pull in the crowds.